Sparkle. Shimmer. Shine. This fabulous book was made for those who crave a little extra twinkle in their life. Featuring thick pages suitable for writing, drawing, collaging, and even light watercoloring— it's the perfect companion to have with you at all times. "If Professor McGonagall pointed her wand at me and transfigured me into a book, I would look exactly like the custom journal Jenna made for me. That journal is the book version of me. I'm telling you, Jenna doesn't just 'make cute books.' 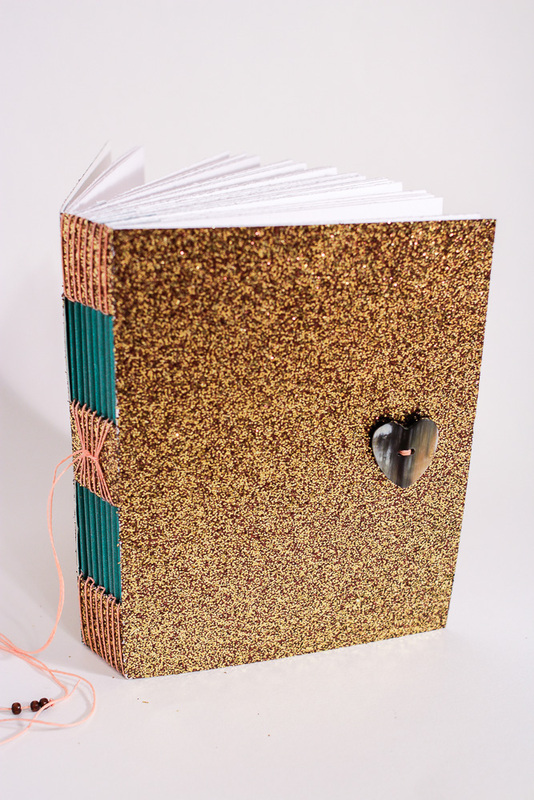 Her bookmaking is magic." 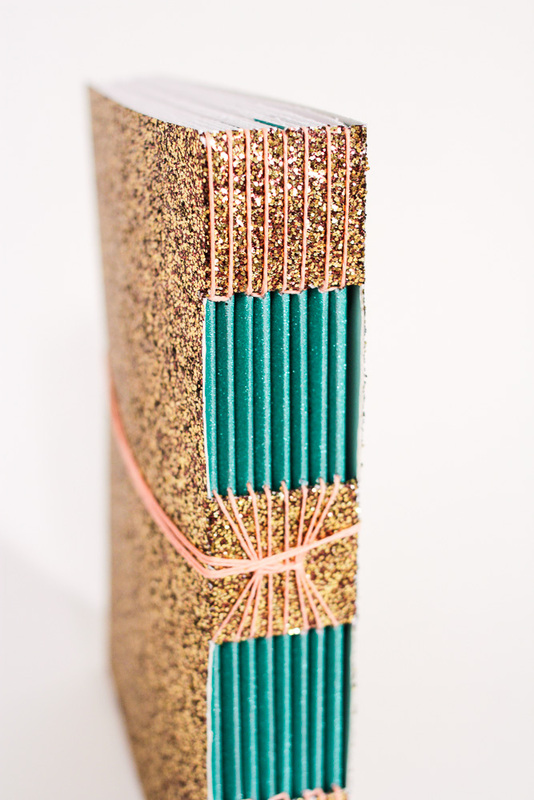 It was definitely worth being covered in glitter to make such a beautiful journal. You can read more about the creation of this book and the story behind that beautiful heart shaped button on my blog here. If you're interested in having a super sparkly custom handmade journal like this created for you or a friend, just shoot me an email on the contact page.